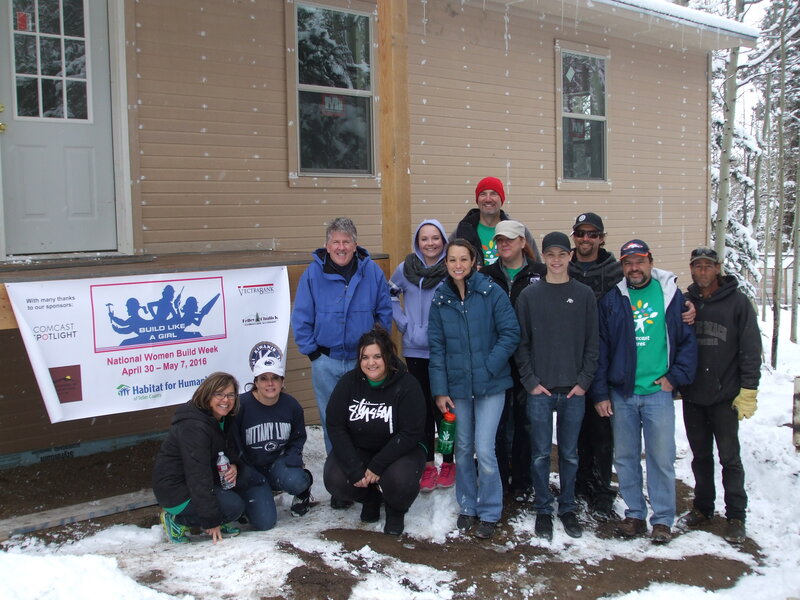 Habitat for Humanity of Teller County is proud to partner with AmeriCorps NCCC volunteers! AmeriCorps NCCC (National Civilian Community Corps) strengthens communities and develops leaders through direct, team-based national and community service. In partnership with non-profits—secular and faith based—local municipalities, state governments, federal government, national and state parks, Indian tribes, and schools, members complete service projects throughout the region they are assigned. 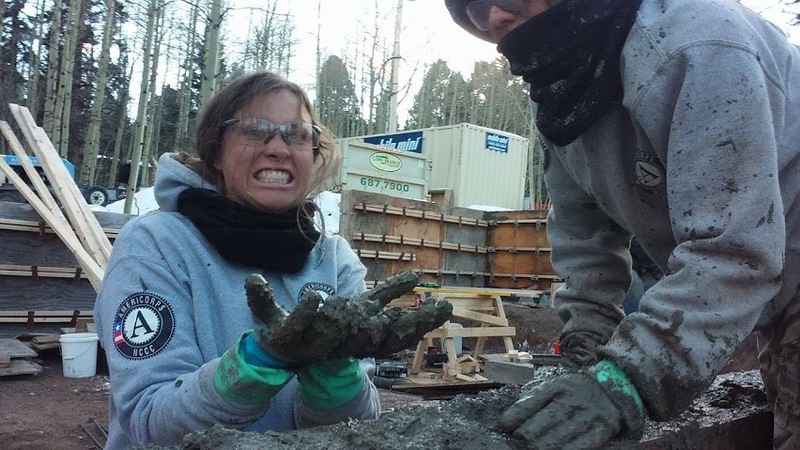 AmeriCorps NCCC is a full-time, team-based residential program for men and women age 18-24. Members are assigned to one of five campuses — Denver, CO; Sacramento, CA; Baltimore, MD; Vicksburg, MS; and Vinton, IA. 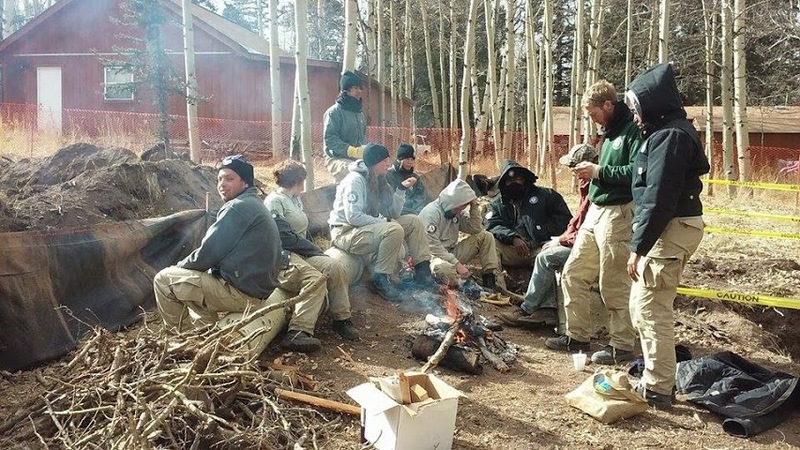 Drawn from the successful models of the Civilian Conservation Corps of the 1930s and the U.S. military, AmeriCorps NCCC is built on the belief that civic responsibility is an inherent duty of all citizens and that national service programs work effectively with local communities to address pressing needs. 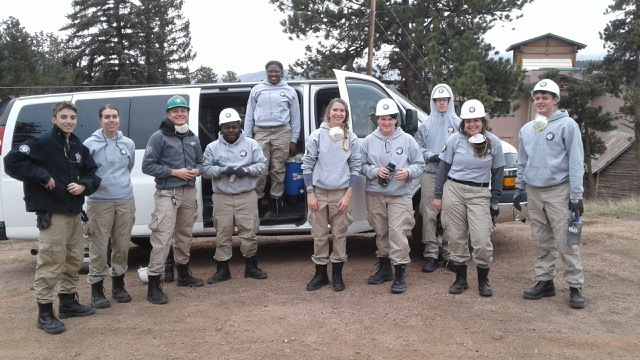 VISTA – Volunteer In Service To America is another AmeriCorps program. This is slightly different because one volunteer serves with one affiliate or on one project for the entire year. It is geared toward capacity building. 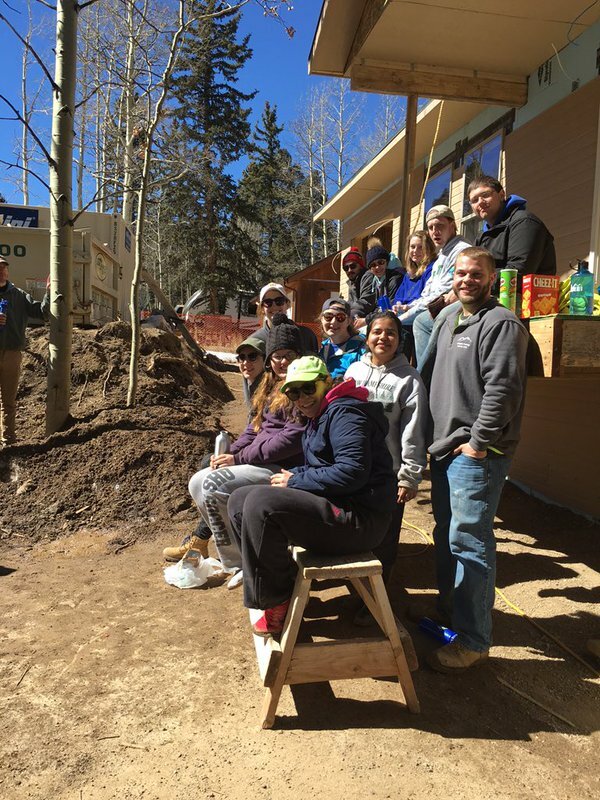 Habitat for Humanity was able to host both NCCC and VISTA. 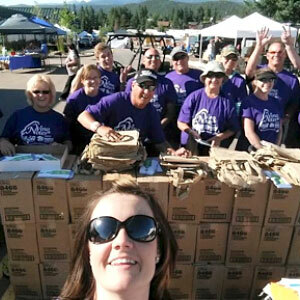 Alyssa Baker served as Family Services Development Coordinator at Habitat for Humanity of Teller County this past year. Not only did she learn a lot about the community she also was able to understand the workings of a small non-profit organization. She helped many families to complete their Home Buyer Classes as well as aided with the qualification process for potential partner families. After this experience, she has even more respect for the work done, especially in rural communities. Faith engagement continues to be a vibrant part of our volunteer community! 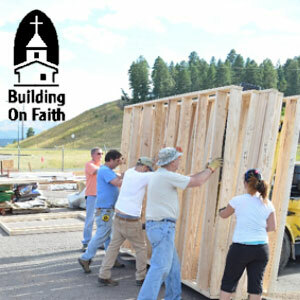 During our Building on Faith events, volunteers from churches throughout Teller County come together to help build homes for members of our community. 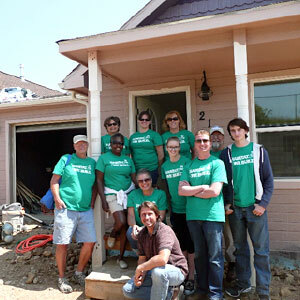 The benefits of working with Habitat for Humanity are numerous, for the faith community and our affiliate. We hope to continue building relationships, building homes, and building faith! Partnering with Habitat gives people a concrete way to put their faith into action and be the body of Christ in the world. Many churches report that when they become Habitat for Humanity partners, they experience revitalization throughout the congregation. Some note that membership grows and that giving increases because people want to be a part of a vibrant church that reaches beyond itself. 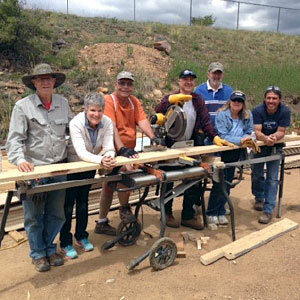 Churches often report that members get excited about other mission opportunities after working on a Habitat project. For more information or to get involved in our next Faith Build project, please contact Rebecca, at 719-687-4447, or via email at jamie@tellerhabitat.org. Team Builds with Habitat for Humanity provide a unique, fun and rewarding experience for any group – corporate groups, sports teams, friends and family, youth groups, and more. No previous construction skills are needed, and Habitat will provide the tools and training you need for success. During a day on the job site, your team will work alongside a Habitat partner family to help them build their home. Group construction tasks offer great opportunities to strengthen workplace skills. You are welcome to hang your company banner at the construction site as well! Habitat can provide additional training and team building activities while on the job site. By participating in a Team Build, your team will play an important role in helping to break the cycle of poverty, strengthening our community, and building a brighter future for a local family. Group spots tend to fill up fast! Other dates outside of the traditional spring break may be available too; for more information, please visit the Collegiate Challenge website, or contact our office. Women Build is Habitat for Humanity’s program for women who want to learn construction skills and build homes and communities. This program brings together women from all walks of life to address the housing crisis facing millions of women and children. The program continues to grow across international borders, empowering women everywhere to address poverty housing for themselves, their families and their neighbors. Hundreds of Women Builds have taken place throughout the world, and the program aims to direct financial assistance to women-led projects worldwide. Learn more about Women Build nationwide here! RV Care-A-Vanners is a volunteer program for anyone who travels in a recreational vehicle, wants to build Habitat houses and have fun doing it. RV Care-A-Vanners welcomes people of all ages, from all walks of life who want to pick up a hammer and help change lives. Vino and Notes is an annual fundraising event for Habitat for Humanity of Teller County. The next event will be on August 4, 2018, in Woodland Park, CO. Event volunteers receive a free ticket to the festival! To become a Vino and Notes volunteer, please contact Rebecca at 719-687-4447, by email at jamie@tellerhabitat.org, or sign up for a shift on our website.